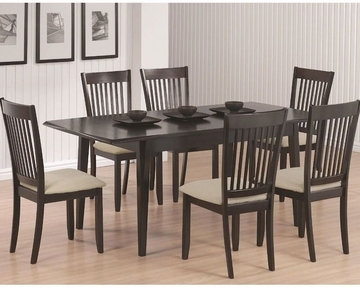 Outfit your dining space with this casual dining set. 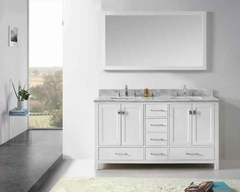 Crafted with a deep cappuccino finish, it has deep brown tones that are pretty and alluring. 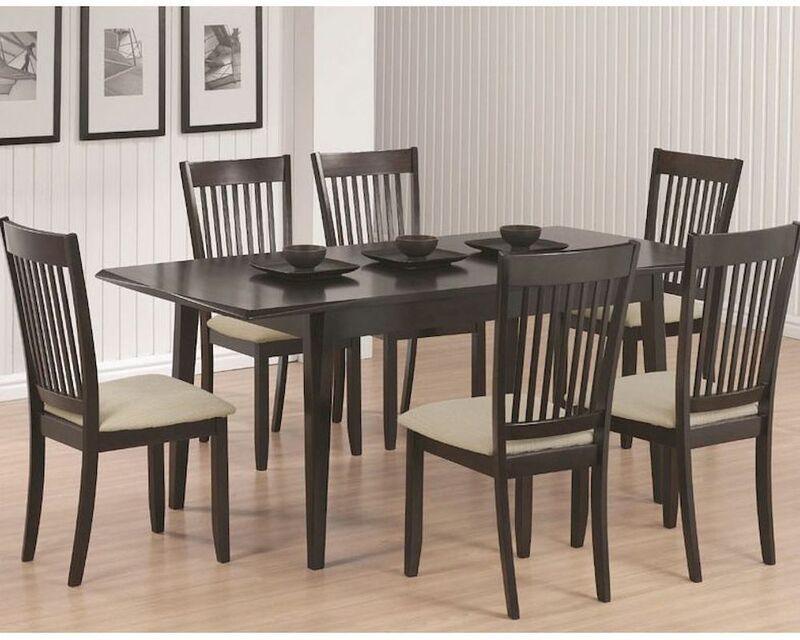 Including design details like vertically slatted chair backs, upholstered seats, and tapered legs, this dining set is simple yet stylish. Perfect for a casually-styled home. Outfit your dining space with this casual dining table. Simple in design, it features a smooth rectangular shape to fit in a traditional dining space. It is lifted on four tapered legs for support and has a deep cappuccino finish. A 15-inch leaf is also included, allowing you to extend the table from 59.75 inches to 74.75 inches to accomodate even more guests. Accompanied are six upholstered side chairs. Simple and stylish, they feature a fabric cushion seat ensures comfort, and its cream color adds a pretty contrast to the woodwork. The chair backs have vertically slatted backs for added accent. 1 x 15" Table Leaf Extends Table to 74.75"